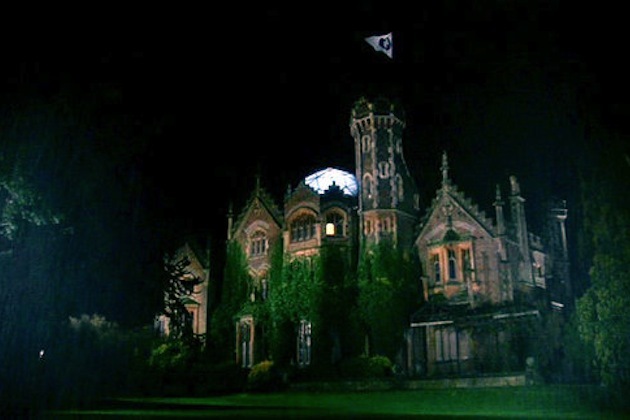 If you are a horror film fan (and a pretty loaded one at that) you'll be interested to see that Oakly Court Hotel, the setting for several Hammer horror films, including Dracula is up for sale. The 1859 gothic style country house is situated in Windsor close to Bray studios, the former home of Hammer films, and featured in several of the company's most famous films including 'The Brides Of Dracula and 'Plague Of The Zombies', as well as the later musical ode to Hammer that was 'The Rocky Horror Picture Show'. It was converted into a hotel in 1979 after the death of it's last private owner fourteen years prior. The hotel was put up for sale after going into administration last month. It features 118 bedrooms, including eleven luxury suites, as well as meeting and conference rooms. Also included in the asking price is a nine-hold golf course and 37 acres of land, including a private stretch of the river Thames. Where are the Swashbucklers of Goth?